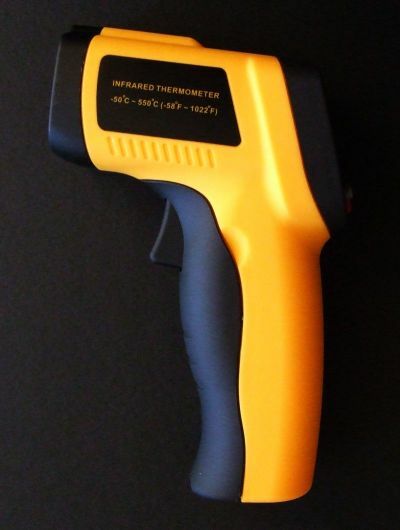 Earlier this year I purchased one of those infrared thermometers that you just point at things and pull a trigger to measure its temperature. Initially I had plans to use it to make the perfect cup of coffee. Well, that didn’t work out very well as the thermometer had difficulties measuring the temperature of the liquid and the shiny container. Even if it had worked the coffee probably would have still been far from perfect. I soon discovered that it is more fun using the thermometer to measure the temperature of random objects. 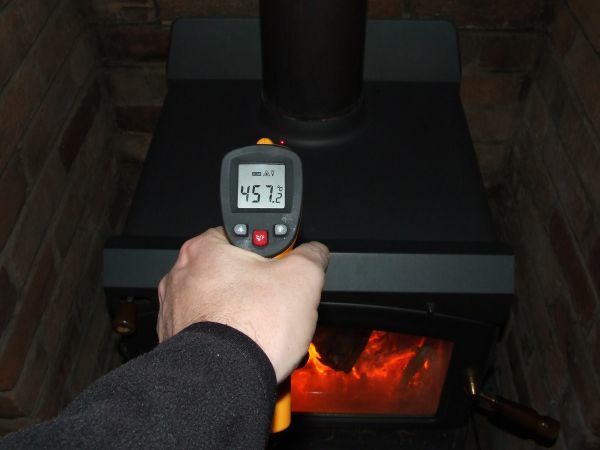 These thermometers measure heat using infrared light. They don’t have to come into contact with an object as they measure the infrared energy that naturally radiates from it. 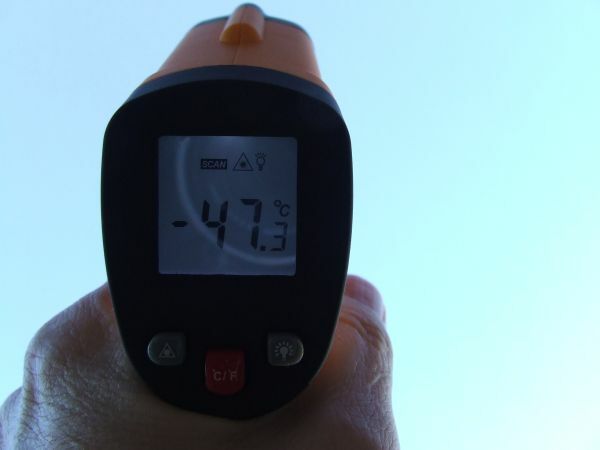 Pointing directly up into the winter sky in the afternoon gave a reading -47°C (-52°F). I found this interesting as it is not measuring an object. I assume it is just reading the amount of infrared light it can detect in the atmosphere above. Probably the coldest morning of the year. The official temperature nearby was -9°C. We usually experience a bit colder temperatures here. This flower is -12°C (10°F). It’s no surprise that so many plants from other parts of Australia do not grow here. Temperatures at the top got up to 457°C (854°F). Not a place you would want to place your hand. 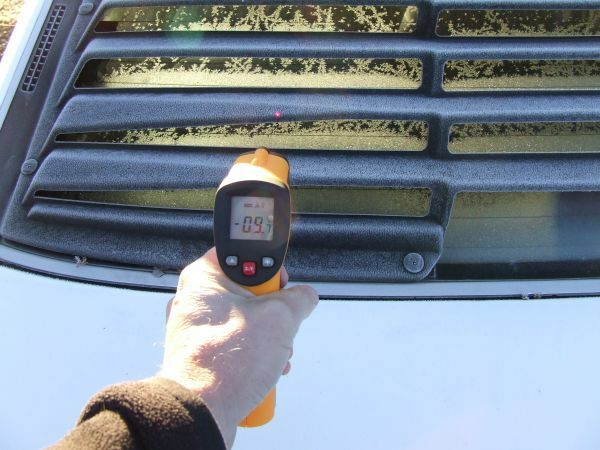 This is a significant difference with our reverse cycle air conditioner. When it is heating it blows warm air whereas this heater is hot. 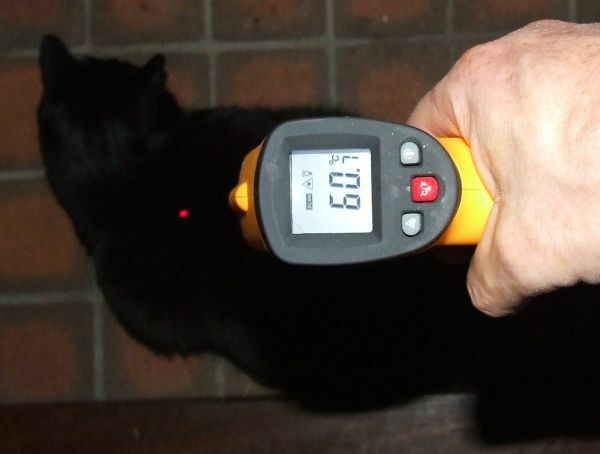 Our cat loves heat and has very fine black fur. Here the fur is showing 60°C (140°F). 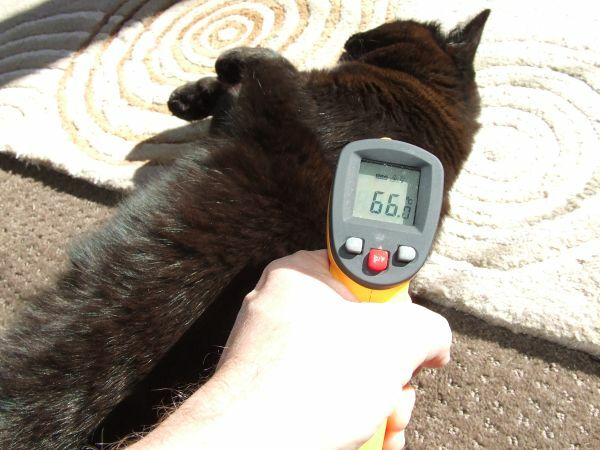 I think the fur makes a good insulator so the cat is nowhere near as hot as this reading indicates. Here it is lying in the sun. I find it interesting that its fur is hotter that when it was in front of the wood heater 66°C (151°F). Toast is pretty hot when it pops up. Picking it up immediately after it popped up shows it to be 123°C (253°F). Why don’t we get burned? 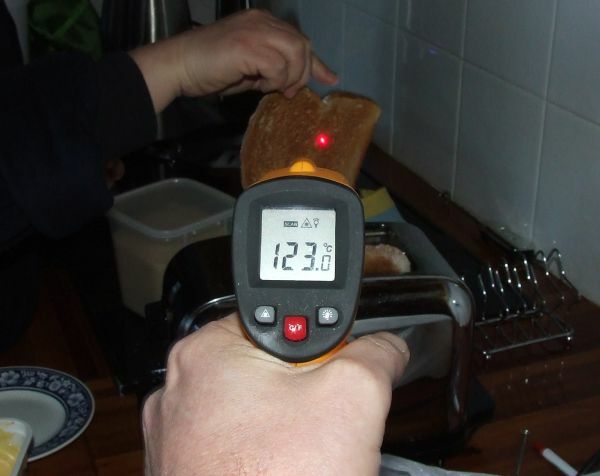 Maybe it’s because the toast is a good insulator. Perhaps it is because the toast has a porous texture that it has a large surface area that accelerates its cooling. It certainly cools quite quickly. I don’t know really. 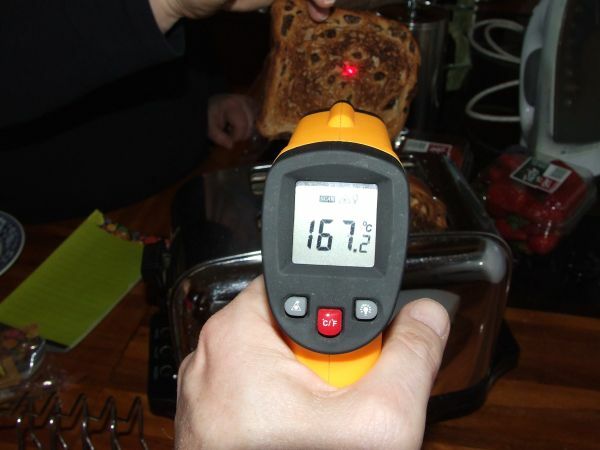 The raisin toast is even hotter 167°C (333°F). Perhaps a raisin is influencing the reading here. 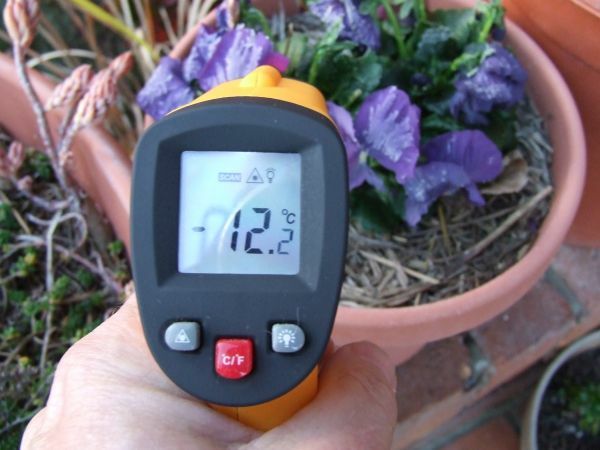 Posted on August 26, 2012, in House and Garden, Science and tagged Experiment, Frost, Infrared, Infrared thermometer, Science, Temperature, Thermometer, Toast. Bookmark the permalink. 1 Comment.